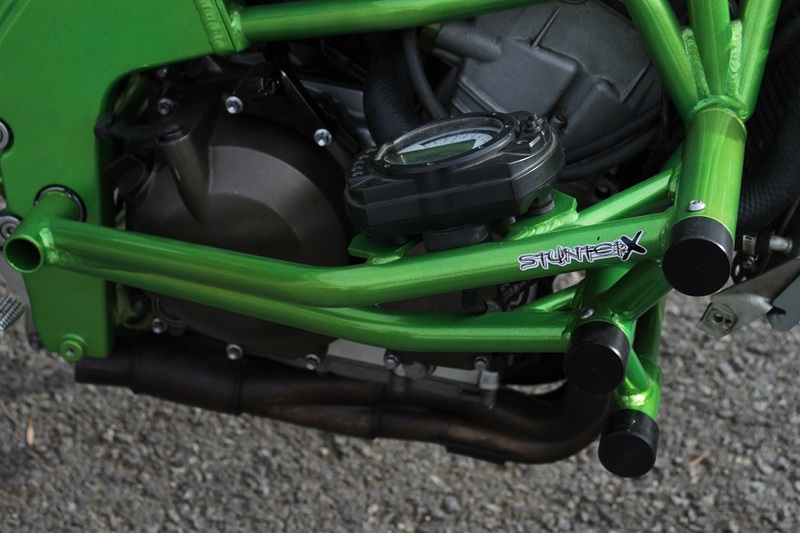 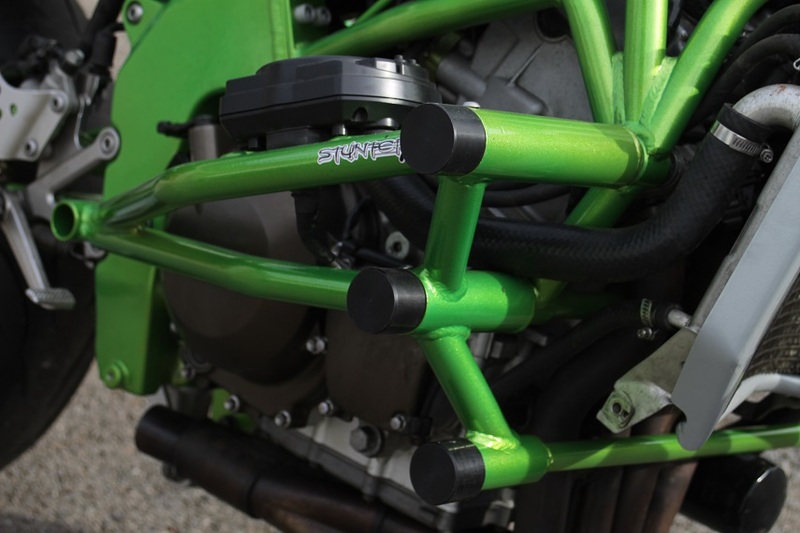 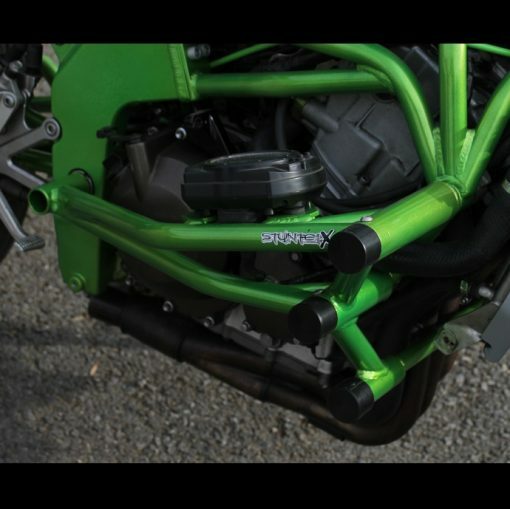 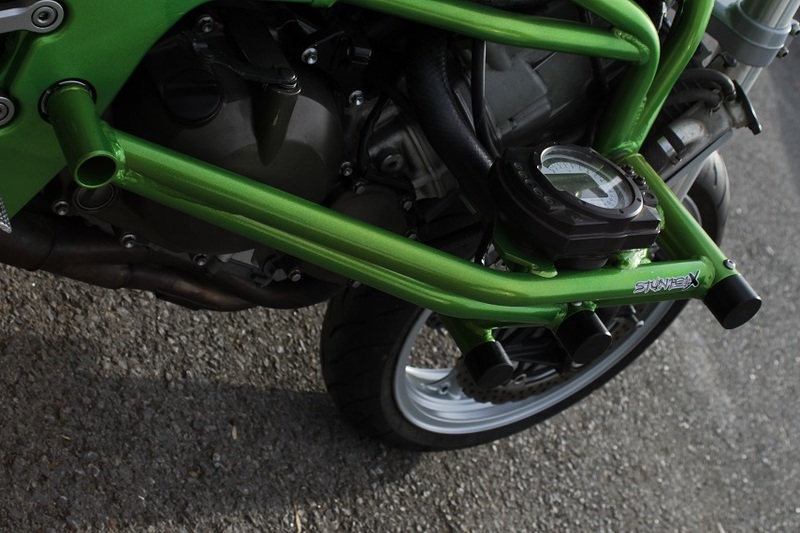 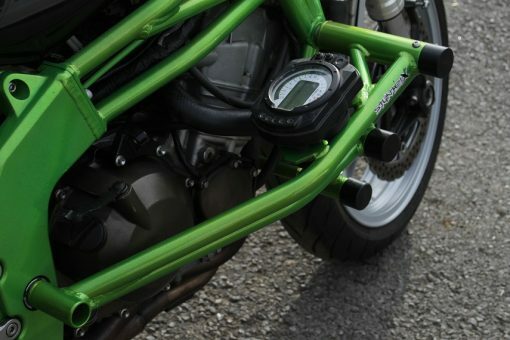 We came out with our original cage design for the 03/04 636 in 2008 which has been a proven strong design that holds up excellent with dual pucks and has a sleek profile set up for maximum ground clearance for drifting and cornering for street riding. 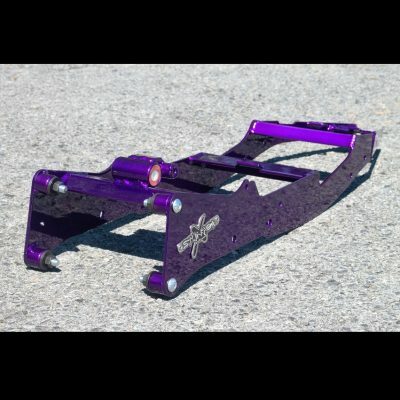 Our all new Super Duty design is still set up for excellent ground clearance but we added another mounting point and third slider impact point to distribute the hit of a really hard crash! 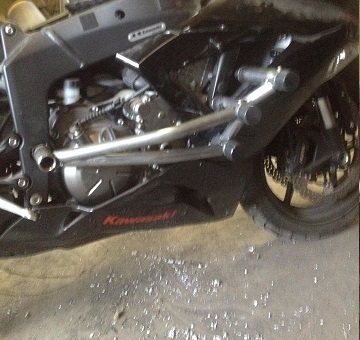 This is a excellent option for newer stunt riders or someone that just likes the extra insurance of a over the top cage that will take on most anything! 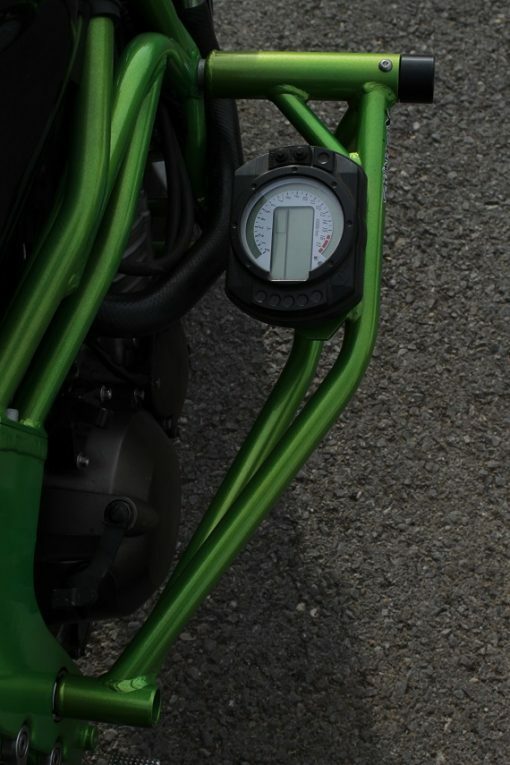 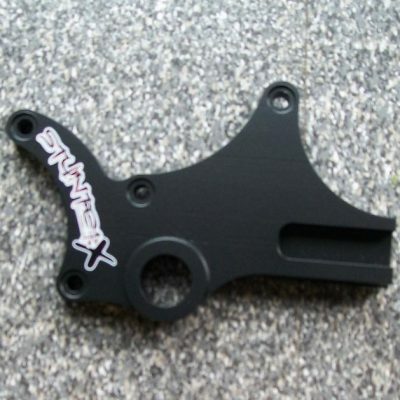 Be sure to check out our optional bolt on gauge bracket (as shown in pic) for the 03/04 and 05/06 636 cages The gauge bracket is a separate product so be sure to add that to your shopping cart if needed.